The day after I started thinking about what I could have J make his Daddy for his birthday/St. 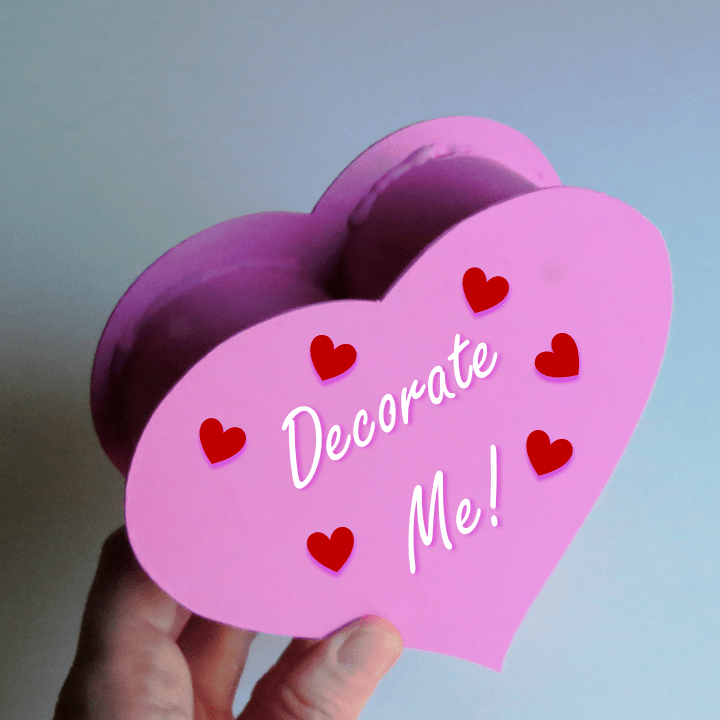 Valentine’s Day, I saw this post on Doodles and Jots for making your own heart shaped box out of a cereal box. I ended up doing ours slightly differently because I wanted J’s help and I really didn’t want to deal with paint. I cut up the cereal box into 2 big rectangles and strips then let him glue on the construction paper. Then I made a heart shaped template and “we” traced two big hearts on the two big pieces of the box and let him cut them out (I “fixed” it when he wasn’t looking). Then I cut my template down about 1/4 inch and traced it on the bottom, lined up the strips for the sides along the line and using a glue gun put a bead of glue on both sides. I cut the template down another 1/4 inch or so, flipped over the top and glued smaller strips along the traced line to make a lid that would fit inside the bottom. If I happen to ask where I stashed it in a few weeks, just remind me it is in the room Daddy rarely enters. That stuff is dangerous! Luckily it was my left index finger instead of my right clicking finger. Looks great, bet Dad will love it!! Oh and yep done that with the hot glue gun too!